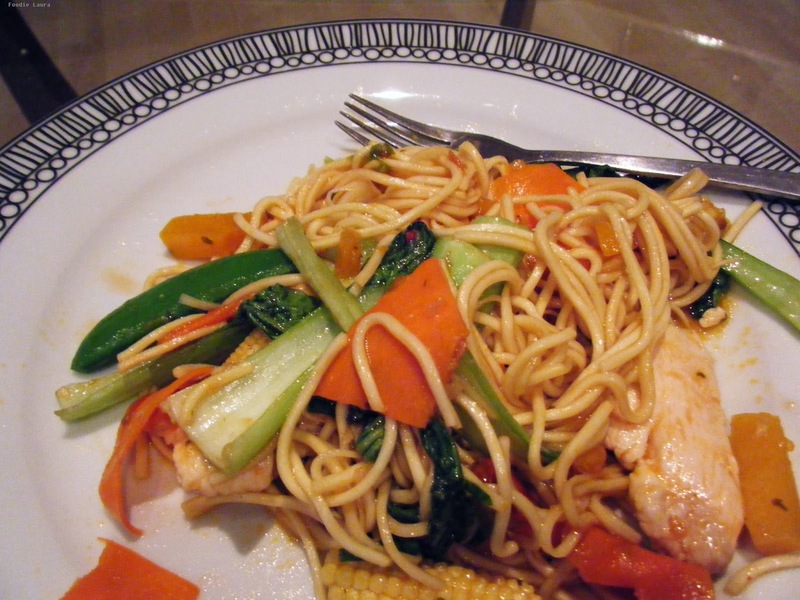 This week I had a turkey stir fry, if I need a quick meal then a stir fry is always an easy one. I completely cheated with this one and bought a stir fry meal deal that came with soft noddles, prepared vegetables, sweet and sour sauce and a pack of meat. Turkey wasn't one of the meat options but I had turkey breast on hand and froze the beef that came with this multi buy deal. I cut two turkey breasts into thin strips so they would fry more quickly. The colourful stir fry was on the table 15 minutes after I came through the door and it tasted great. We also had a turkey mince chilli, I usually make chilli with beef mince, I used the turkey chilli recipe from the British Turkey recipe index with less jalapeños. It was similar to my usual chilli but the beef mince was substituted with turkey mince. It was odd eating chilli with turkey mince, I don't think my brain could quite get around the fact that it wasn't beef even though it tasted different to beef. I thought the turkey was a bit lost in the heavy chilli flavours, it wasn't a bad chilli and we ate it all but I don't think the turkey was quite as nice a beef would have been. I'm going to be trying a turkey chilli again though with lighter flavours like more parsley, perhaps sweet potatoes and less tomato. It was a filling dish and with the rainy weather we've been having it was lovely to curl up with a steaming bowl of turkey chilli.